"Post-2016 Election, Nonpartisan Is Cool" Read the LWV profile in Who. What. Why. 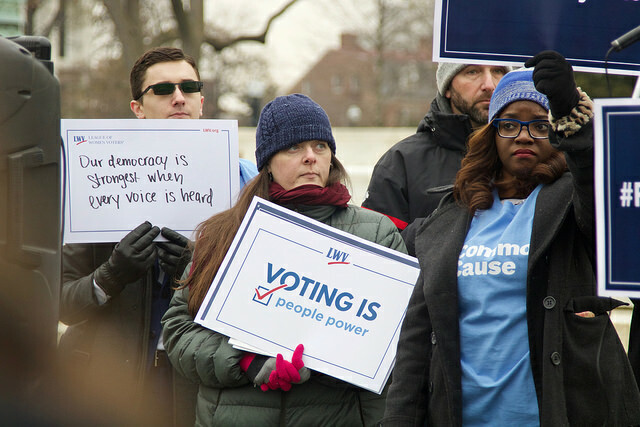 The League of Women Voters has experienced a surge of new blood, new resources, and new energy. But it is the League’s "old" values that are attracting new members. An article recently appeared in Who. What. Why., a nonprofit, U.S based independent online news organization. It provides a snapshot of the League's history and what is going on now. As they say, "Post-2016 Election, Nonpartisan is Cool." Read the profile on our organization in Who. What. Why.